Windows Direct is a company that was build by its founder, Denis Boyle, who has over 40 years of experience in the building industry. 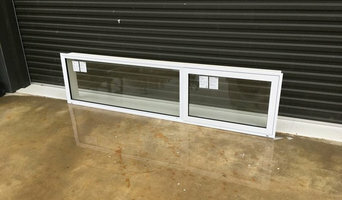 We supply aluminium doors and windows to our clients who are located all over the South Island of New Zealand and some cities in the North Island. We are famous for our affordable pricing and our quick turnaround time for our customers. Our options in windows are Awning, Casement, French, Fixed, sliding and bifold. Our doors options are Entrance (hinged), Sliding, Sliding stacker, French, Biparting and Bifold Doors. Our standard colours include Arctic White, Silver Pearl and Ironsand, however we also make our orders in other colours also as requested by our customers. We also specialize in Retrofitting of windows and doors. We have our showroom and workshop located at Unit 3, #2 Musgrove Close in Wigram. Increase security of your property Dor-Gate Access Systems - Specializing in commercial areas, industrial sites, businesses, factories. We are providing our services from last 20 years in Christchurch, NZ. We are the top supplier of electric control gear, bullet gate systems, barrier alarms etc. Find a Christchurch, Canterbury, New Zealand door professional on Houzz. Scroll through this page to find door professionals in your area. Look at project photos and read reviews to find out how homeowners rate their service, expertise and product.